The Prophet (pbuh) is reported to have said that every single person is a shepherd, a guardian or a care-taker (ra’in) and is thus responsible for his or her herd (ra’iyyah), that is to say, for what he or she has been entrusted with (Sahih al-Bukhari). While man is responsible for the total needs and overall condition of the family, woman is responsible for the way the house functions. Although the roles of man and woman are complementary and are very much intertwined, their respective scopes, where each one of them leads the way, are clearly outlined. As far as woman is concerned, her primary role rests within the realm of the house, the role for which she more than anybody else is answerable to Allah. There is no contribution, or service, to society which woman may undertake that is able to offset the harm woman’s negligence, or compromise, of her contributions and services to society through the house institution can generate. Certainly, both man and woman can, and under certain circumstances are even encouraged to, expand and diversify their respective contributions and services to society. They are to share the burdens of serving Allah and advancing society. They are to help each other. They are to be partners in discharging their respective dimensions of the vicegerency (khilafah) project on earth. Once a man asked A’ishah, one of the Prophet’s wives, whether the Prophet (pbuh) was doing (helping) anything at home. She replied: “Yes, Allah’s Messenger used to mend his own shoes, sew his own clothes, and was doing all the things you people do in your houses” (Musnad Ahmad). However, for woman the house and her family remain her first and foremost priority. Everything else comes as a second pick. Woman’s contributions and services to society outside the house domain must not have a negative bearing on her duties and performances at home. The performance of the house as a family development center by no means can be compromised because there is so much at stake. As said earlier, the future of a society depends on the ways its family and house institutions function. Hence, as soon as woman’s involvements outside her house start having a detrimental effect on her performances at home, her outside involvements become doubtful. In the worst scenario, neglecting the institutions of the house and family could mean for a family concerned a spiritual debacle. It could mean, furthermore, that the people not only failed to guard themselves and their family members against the chastisement of the Hellfire, but also that they were inducing and shoving each other towards it. Allah thus warns: “O you who believe! Save yourselves and your families from a fire whose fuel is men and stones; over it are angels stern and strong, they do not disobey Allah in what He commands them, and do as they are commanded” (al-Tahrim, 6). The Prophet (pbuh) therefore said that the prayer of a woman inside her house is better than in the courtyard of the house, or near the house’s main entrance, that is, in the places of the house where woman’s privacy is most vulnerable. However, a woman’s prayer in her bedroom, or inside those inner spaces of the house where she is hidden most, is better yet (Sunan Abi Dawud). The Prophet (pbuh) also said that woman is closest to her Lord when she is inside her house (Musnad Ahmad). It has been reported, furthermore, that some women came to the Prophet (pbuh) telling him that their men get a hold of the best of deeds in the form of struggling and fighting for the sake of Allah (jihad). Thus they queried if there was a feat which they could accomplish and attain thereby the huge reward reserved only for jihad. The Prophet’s reply was: “If you stay at home (doing what is required and expected from you to do), you will surely attain the reward of the men who struggle and fight for the sake of Allah (mujahidun)” (Tafsir Ibn Kathir). Surely, herein lies one of the strongest hints as to the nature of education both Muslim men and women need to obtain. The main purpose of every educational system is to ready its people to be able to actively participate in the total development of their society, to help them achieve and live their personal dreams that are expected to be both part of, and in consonance with, the dreams and aspirations of society, and, finally, to groom them to become and remain their society’s assets and not liabilities. The case of Islamic education is no exception to this rule. It is a basic tenet in Islam that seeking knowledge is mandatory upon every single man and woman from the cradle to the grave. Islam sees knowledge as light; ignorance it sees as darkness. Knowledge is power and drive, ignorance is weakness and spiritual stupor. Knowledge brings one closer to Allah, ignorance brings and keeps one away from Him. The Qur’an asserts that “those who truly fear Allah among His servants are those who have knowledge” (Fatir, 28). The Islamic community is one of knowledge and learning. However, the teaching and training of Muslim men and women, naturally, must be along the lines of the Qur’anic message, the infinite treasure and the perpetual fountain of knowledge, and along the lines of the pattern set by the Prophet (pbuh), the greatest teacher and himself another infinite source of knowledge and wisdom. The knowledge obtained by Muslim men and women must correspond to the philosophy, mission and goals of the Islamic community as ordained by Allah and His Messenger. Any deviational step from this paradigm is destined to bring more harm than benefit to Muslims, as persistently proven beyond a reasonable doubt since the colonization era and its aftermath. Accordingly, the Prophet (pbuh) is reported to have sought Allah’s protection against a knowledge that brings no benefit. A “knowledge” that does not bring one closer to his Creator and Master, yet it drives him further away from Him, is not knowledge. A “knowledge” that does not support the idea of one fulfilling his genuine purpose and objectives in society, and by extension on earth, yet it contradicts, hinders and even tends to wreck it, is not knowledge either. Such modes and styles of “knowledge” are no more than inflated and subtly feigned illusions, deceptions and perhaps the highest degree of disobedience and wrongdoing. At best, such “knowledge” could be perceived as mere sets of flawed, disoriented and fractional inquiries into the phenomenon of existence and its manifold realities, rendering lots of their results and conclusions correspondingly defective, disoriented and fractional. The positives of those scientific inquiries and their findings are too few and too scant to be able to compensate for the upshots of failing to recognize and attend to the most real, critical and compelling dimensions of knowledge and wisdom. It’s high time we start making a distinction between education and knowledge (wisdom) because in this day and age most of us are highly educated but few are knowledgeable and wise. For example, what knowledge is more important, and thus more rewarding, than the knowledge that leads one to recognizing, appreciating and submitting to the will of the Creator and Sustainer of man, nature and the whole universe? Which knowledge is more important than the knowledge that makes one comprehend the most essential aspects of life, nature and the universe, as well as makes one comprehend his and her actual position, role and purpose in life vis-à-vis the rest of life realities and phenomena? Which knowledge is more important than the knowledge that leads one to understanding the meaning of life and death, and what one is supposed to do in order to attain salvation? The answer to all these questions is a categorical “none”. Hence, Muhammad Iqbal emphasized that Europe – then the symbol and standard bearer of purely secular and materialistic knowledge and civilization – is the greatest hindrance in the way of man’s ethical advancement. Also, Allah reveals that the residents of Hell will bitterly reproach themselves for what had befallen them. However, as the chief cause of their misery, they will pinpoint their misuse of their cerebral faculties, saying: “Had we but listened or used our intelligence, we should not (now) be among the Companions of the Blazing Fire!” (al-Mulk, 10). Their words that they neither listened nor used their intelligence could be interpreted as acquiring a “wrong knowledge” and remaining oblivious to the “real” one. So therefore, it goes without saying that the education of Muslim women should primarily — albeit not exclusively – focus on equipping them to be able to activate, enliven and keep up their houses as dynamic institutions and family development centers. They should be taught, trained and be given the necessary skills, guidance and all the material and spiritual means and media that will enable them to rise to the challenge of contributing their intrinsic share to the society, culture and civilization development enterprise where margins for error are extremely small. Of course, the education of Muslim women should cover many other fields and issues, because of the gravity, intensity and diversity of their roles, services and contributions, which extend, directly or indirectly, beyond the sphere of influence of the house realm. However, things must be prioritized according to both the divine guidance and the natural order of things. Muslim women need to be taught and trained, firstly and most importantly, how to perform as exemplary wives, mothers, house guardians and educators. After these roles, other legitimate, instinctive and beneficial societal roles and services can come in. However, mixing up the priorities of the education of Muslim women, where their inherent roles as wives, mothers and house guardians and educators are relegated to a degree of lesser importance, is unnatural and so, bound to bring about unnatural consequences. If truth be told, for women to have a say in scores of matters that stay outside the physical boundaries of the house, be it in their neighborhoods or beyond, is still an implication of the house functioning as an institution and a family development center wherein woman serves as the guardian. For women to stay completely aloof from the outside world without leaving a mark on some of its aspects, would be as erroneous a scenario as to allow women to get so engrossed in pursuing their careers outside the house that they neglect their duties inside it. It follows that providing an inappropriate education for Muslim women, partly or completely, is utterly unfair. It is a form of gross injustice perpetrated against women and against the whole of society, in that women, firstly, the family institution, secondly, and the entire society, lastly, will suffer greatly as a result. The happiness and functionality of the family unit depend, principally, on the happiness and performances of women, whereas the happiness, success and functionality of society depend, mainly, on the happiness, success and functionality of the family unit where women play a critical role. The significance of the house phenomenon, which contains the family unit, is here readily apparent too. It was for the reason that the house should function as a leading social institution and a dynamic family development center, and that Muslim women should above all be responsible for it, that the Prophet (pbuh) advised that all the voluntary prayers be performed at home. Only the compulsory prayers, if possible, are to be performed in mosques. The voluntary prayers are the light of the house (Musnad Ahmad). For women, nonetheless, both compulsory and voluntary prayers are better to be performed at home, even though they can perform them in mosques too (husbands have no right to stop wives from praying in mosques if they ask them for permission to do so (Sahih al-Bukhari)). For the compulsory prayers, all the rewards that men can procure while performing them in mosques, women likewise can procure when they perform them at home as part of their duties that reflect their noble mission as house custodians and caretakers. This precept obviously requires that there should be inside the house a space, irrespective of its size and position, which will be earmarked to function as a place for conducting certain worship activities, both individually and collectively. That is exactly what happened with some people during the time of the Prophet (pbuh). 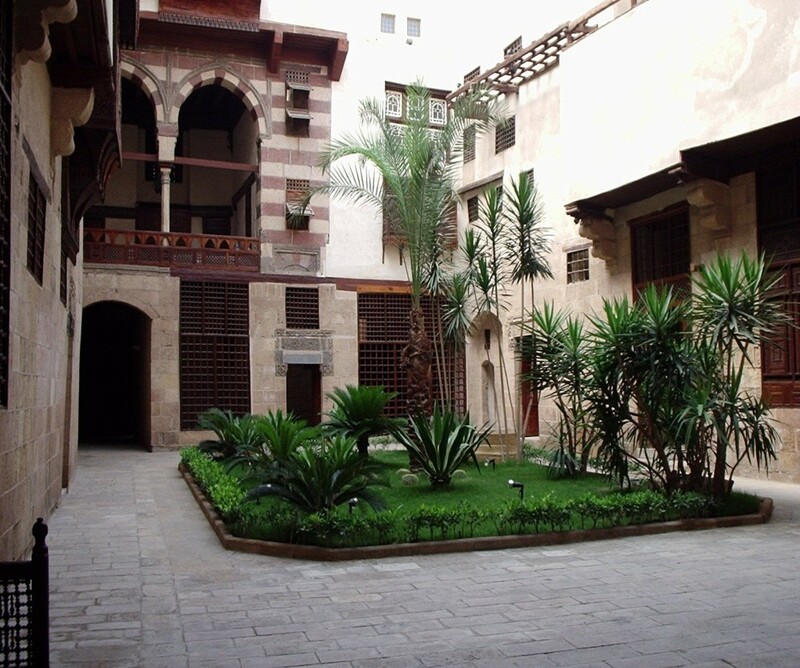 Not only that the Prophet (pbuh) agreed that his companions have such designated spaces in their houses, but also, when he could, he did not hesitate to grace some houses with such spaces by personally praying in them (Sunan Ibn Majah). The space inside the house designated for worship could be used exclusively for that purpose or, should the size of the house and its organization of inner spaces preclude such a luxury, it can be shared with some other house functions and purposes. The Prophet (pbuh) advised, furthermore, that no house can be made completely devoid of acts of worship and other deeds that breed a culture of a spiritual and intellectual enlightenment. To the Prophet (pbuh), a house free from such activities is like a grave, that is to say, such a house is dead, enveloped in darkness and can cause and nurture nothing but waywardness and sin. As such, Satan and those who follow in his footsteps are fond of patronizing that type of the house (Sahih Muslim); angels run away from it. 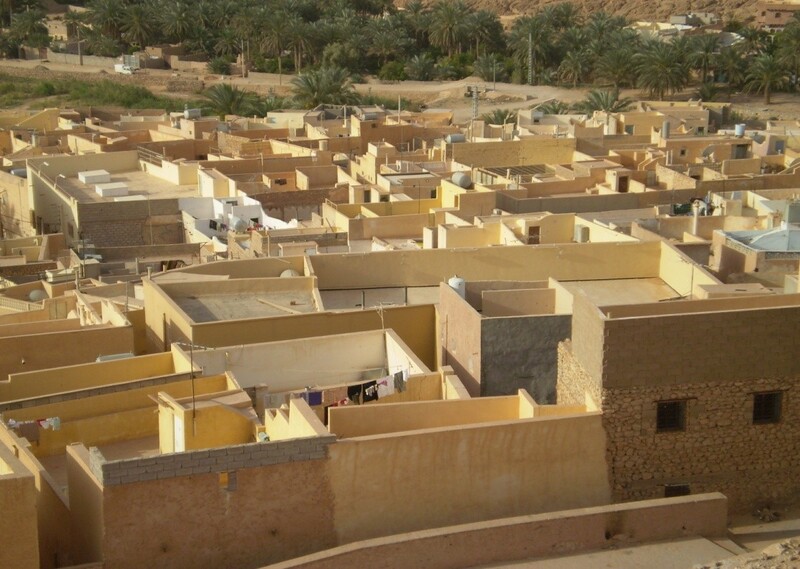 The character of this housing type is incompatible with the way of life of a believer. The Prophet (pbuh) said, for example, that Angels do not enter a house where there is a statue or a dog (Sunan Abi Dawud). It is due to this that the Prophet (pbuh) once remarked that the house could become a source, or a cause, of a misfortune to its occupants (Musnad Ahmad). The Prophet (pbuh) also said that the Day of Judgment will not take place until, among other things and occurrences, “the bad ones amongst you (Muslims) inherit your houses” (Musnad Ahmad). The Prophet (pbuh), apparently, had in mind here a phenomenon which will be a sign of the extent of many Muslims’ abandoning of their faith towards the end of this world, and the extent of their engrossment in an illegal behavior and sin. Those novel behavioral patterns will be clearly reflected and typified in the erroneous ways the people responsible will build, perceive and use their houses. A deterioration in their spiritual orientation and strength will mirror itself in a corresponding deterioration of the status and function of their houses, the two phenomena encouraging, aiding and sustaining each other. The spiritual failure of the people in question will signify the failure of their housing systems, and the failure of all of their civilizational undertakings. They will succeed in transforming the notion and sensory reality of the house from being a source, symbol and beacon of goodness into a source, symbol and beacon of evil. 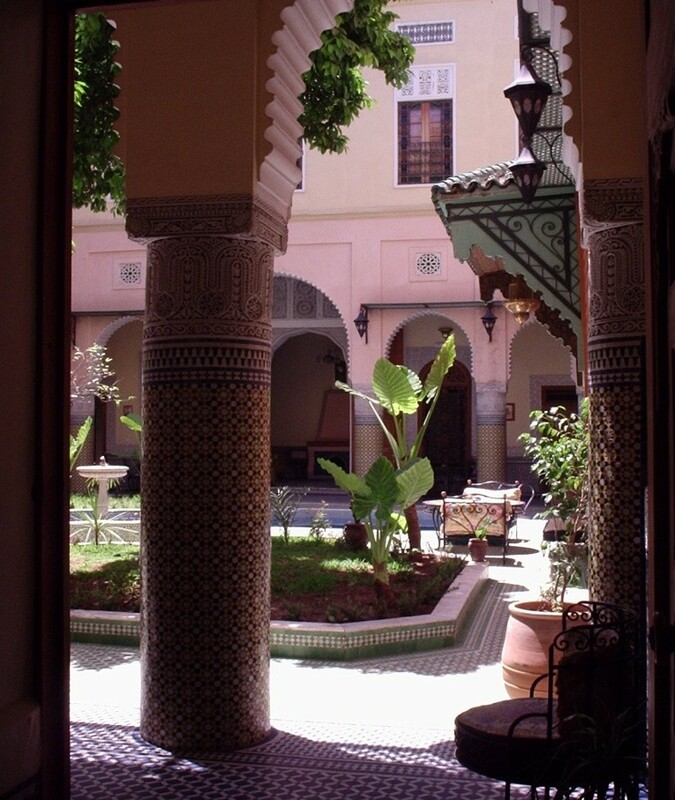 The house of a believer, conversely, accounts for a fountain of light, righteousness, dynamism and confidence. In short, the house of a believer functions as a form of the mosque, as it were, i.e., the place of worship. Angels patronize it; Satan runs away from it. The house of a believer is a source, or a cause, of his happiness and fortune. It is a symbol of his robust civilizational awareness, strength and achievements. It is a symbol of his graceful role on earth. Hence, Muslim women should be truly delighted and honored for being entrusted with the task of leading the way in actualizing, managing and safeguarding Muslim houses as principal social institutions and family development hubs. 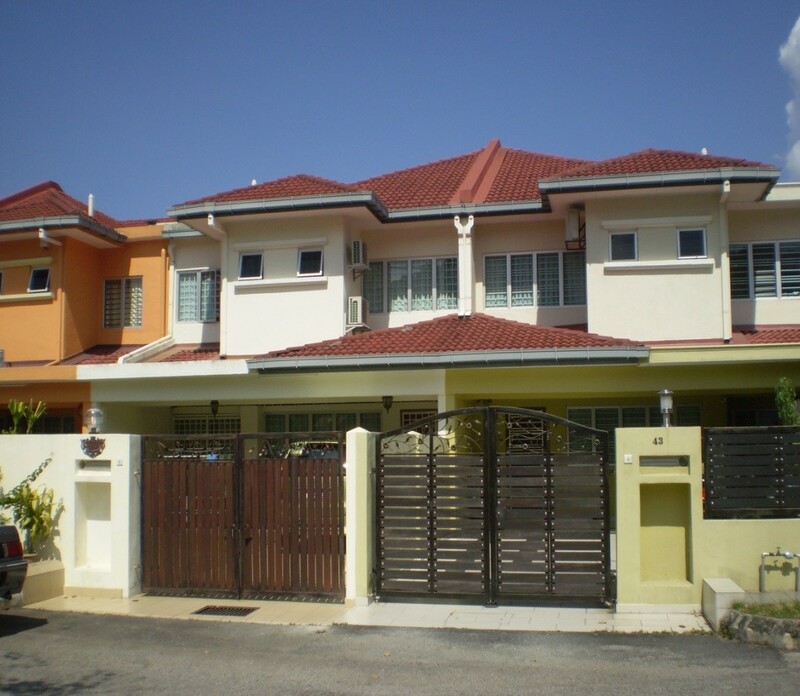 Terrace houses are very popular in Malaysia. Some terrace houses in Kuala Lumpur. 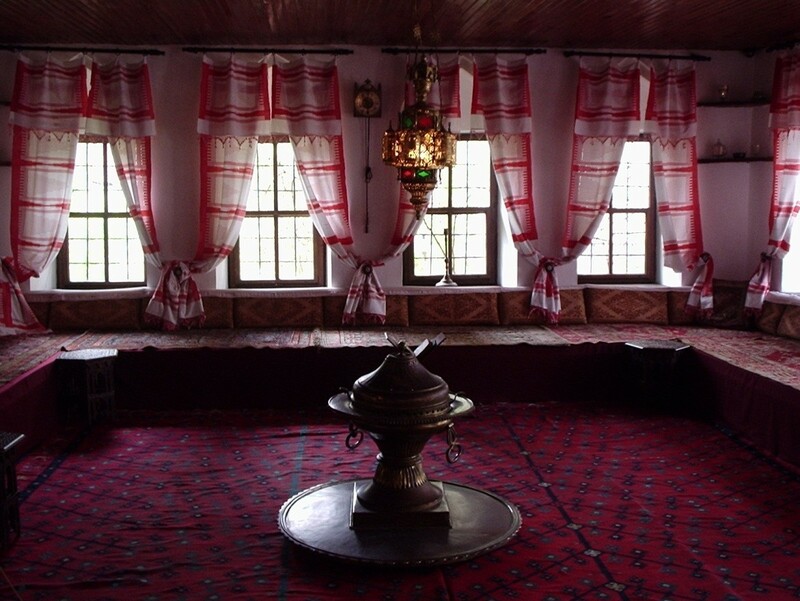 The interior of an upper floor in a traditional house in Sarajevo, Bosnia. 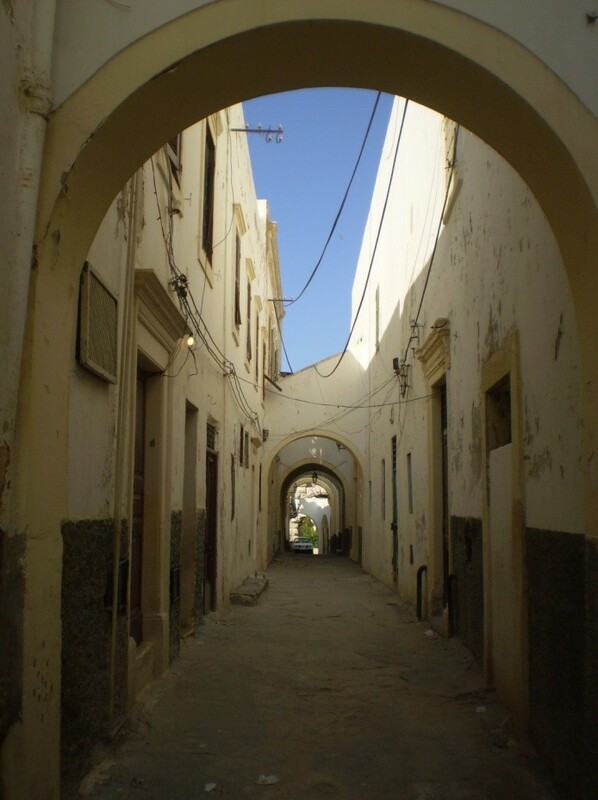 A narrow street running through a residential area in Tripoli, Libya.